COATESVILLE — Kick off the holiday season with the Brandywine Health Foundation’s 5th Annual Festive 5K Run/ Walk, an invigorating 5K Run or One Mile Fun Walk through downtown Coatesville prior to the Coatesville Christmas Parade. This annual event will involve over 600 participants of all ages and fitness levels. Individuals, families, school teams, corporate teams, seasoned runners and walkers will join together with spectators and volunteers on a beautiful December morning in support of the Coatesville Youth Initiative. Registration at Scott Middle School opens at 8 a.m., with the event starting at 9 a.m. 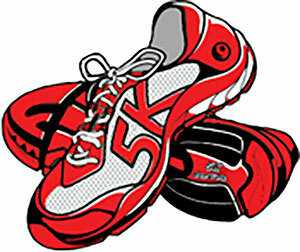 Proceeds from the Festive 5K Run/ Walk benefit the Coatesville Youth Initiative (CYI). The goal is to raise over $60,000 for the CYI that will be used to encourage and support young people in the Coatesville area by engaging youth in experiences that support their success in school and in life, and by uniting a wide range of partners to make the community better for everyone. The Coatesville Youth Initiative is committed to training youth leaders, enhancing family relationships, building community collaboration, and encouraging prevention education. For more information: visit www.festive5k.com or call 610-380-9080.